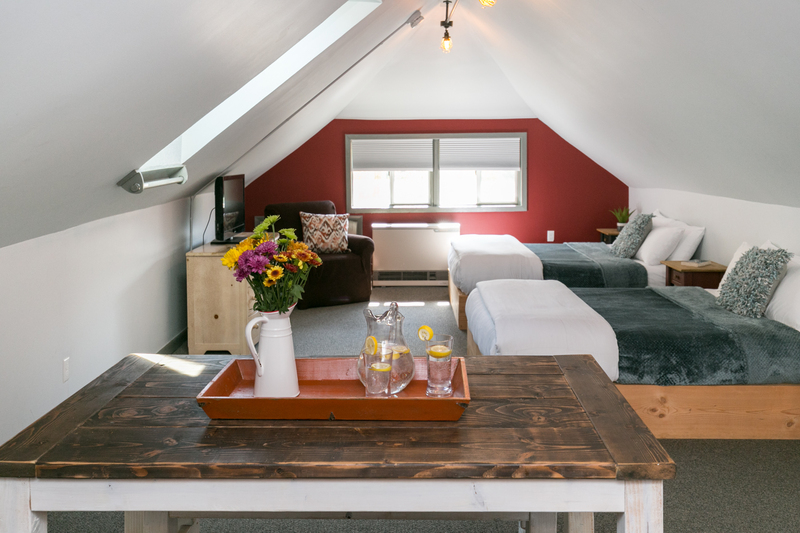 Our Studio units provide our guests with spacious open floor plans and kitchens that allow for comfortable stays. 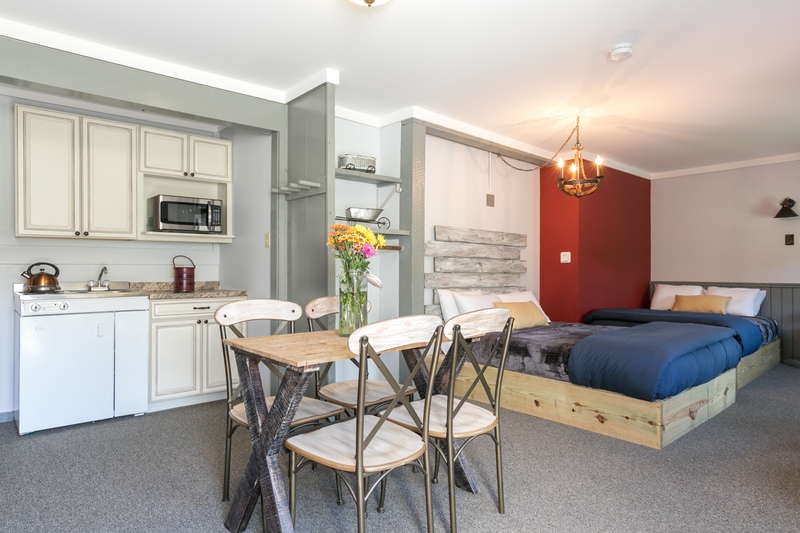 Each of these units has two queen beds, a private bathroom, 48'' flat panel HDTV, (with upgraded cable package), and free WiFi. They are a great option if you are looking for an at-home feel while on the road.